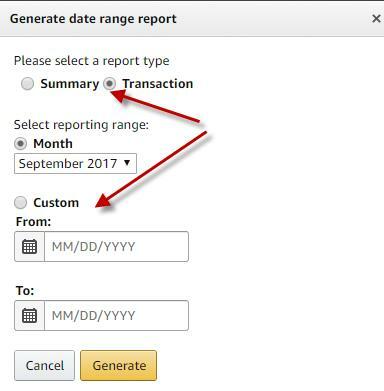 Amazon has various reports and this particular one will show you your sales volume and can be sorted by State. This is particularly important for calculating the ‘good faith’ sales volume when estimating any tax liability in the wake of the deadline for the MTC’s Sales Tax Amnesty Program. Obviously this does not include other marketplaces sales volumes. Some customers enter their State written in full and others abbreviated. Make sure you total all. TaxJar offers a free trial that goes back 60 days. If you sign up for their paid service (starts at $19/month) you can get the current year’s numbers to January 1st. If you want to go back further in time, you can pay $25/year for the past year(s) you want. Alternatively, TaxJar has a video showing you how to estimate it based on data retrieved from this year, etc. Watch TaxJar’s Video on estimating “good faith” sales volume. By far the easiest way is to just have TaxJar give you the numbers from the past. The next best way would be to pull the report from Amazon yourself (or VA do it), and then sign up for TaxJar to collect your data going forward. Use this affiliate link to get a special offer, or go to their website directly.